Want the latest smartphone specifications for less than the price of a Nexus 5 Google Nexus 5 Review and Giveaway Google Nexus 5 Review and Giveaway Approximately a year after Google released the Nexus 4, the company behind Android has come out with its successor -- the Nexus 5. Read More ? The latest generation of China designed smartphones offers great performance with low cost. 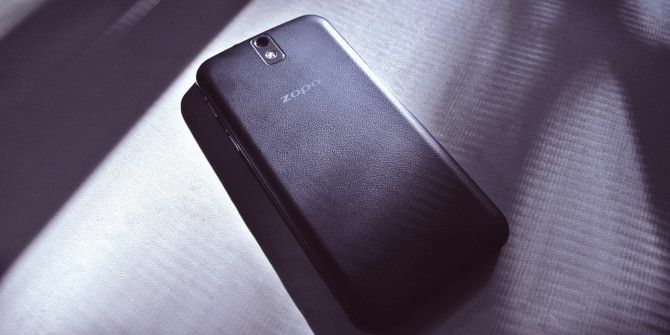 The ZOPO ZP998 smartphone sports an eight core processor, 5.5-inch screen and more for around $300. In its own category, ZOPO’s build quality and value seemingly dominate the competition, offering the same resolution display as the Nexus 5. It’s comparable in dimensions and specifications to cutting edge phones such as the Samsung Galaxy S5, the LG Nexus 5 and the HTC M8. However, it beats them all handily in pricing. The ZP998 sells from a variety of importers on Amazon – I recommend buying from APlusElek on Amazon, or from any online vendor provided they use a localized version of the Android operating system. Many imported phones come with Chinese set as the default language and include a number of apps available only in Mandarin. Serious importers will make certain to streamline the experience. I should point out that the ZP998 is identical in specifications to other octacore phones, based on the MTK6592 chipset, differing only in the quality of the screen and the flavor of 4.2 Android. To my knowledge, no KitKat (4.4) version of Android exists for a similarly built phone. The ZOPO ZP998 excels in its intended role, as a low-cost, unlocked Android smartphone. It offers comparable specifications — on paper — to the best devices on the market, with the caveat that it lacks LTE. Otherwise, the gorgeous screen makes for a great experience when working or playing on-the-go. The screen is large and pixel dense enough for it to function as a mini-tablet. Like most modern smartphones, the ZP998 offers a camera. The ZOPO ZP998’s 14 megapixel back-facing shooter offers an unusually high pixel resolution. Unfortunately, its picture quality isn’t particularly good. While it color accuracy is adequate, the edge detection isn’t great. You end up getting pictures that appear fuzzy, which defeats the purpose of using a high megapixel camera. Were the ZP998 upgraded to Android 4.4, it might use the sublime Google Camera – unfortunately, an update doesn’t appear likely. The ZOPO ZP998 comes in a black, silver-lettered matte box, positioned on a felt tray. The elegant presentation of its unboxing will remind one the quality seen from major manufacturers, such as Samsung and Motorola. It also comes with a large number of peripherals. The only distinguishing feature is its brown polycarbonate case. The case snaps onto phone after applying a fair amount of pressure and is of decent quality. The remaining peripherals possess no special or differentiating features. The ZP998 feels well-crafted, comparable to the quality of any major device manufacturer. A painted aluminum bezel surrounds the phone and the removable plastic back employs a leather texture, helping users grip the phone. As standard, it uses three buttons – a left-side volume rocker, a right-side power button and the rare dedicated camera button, of a textured metal construction. It weighs about the same as most feature phones, at around 150 grams. For reference, the Nexus 5 weighs 130g and the Samsung Galaxy S5 weighs 145g. Using both my favorite battery analysis tool, Carat Kick Your Crappy Android Apps To The Curb With 4 Free & Simple Apps Kick Your Crappy Android Apps To The Curb With 4 Free & Simple Apps Has the performance and battery life on your mobile dropped off? A gang of dysfunctional and buggy apps probably cause such decline. Getting rid of the errant apps remains the single best performance enhancing tip.... Read More , and AnTuTu, the ZP998 scored in the 88th percentile and in the 50th percentile, respectively. In Carat, the ZP998 scored in the 88th percentile of all devices. This score partly extends from the slightly larger than average battery size. Also, the phone’s default configuration enables a battery-saving mode, which holds many of the CPU cores in reserve for larger tasks. For the most part, the battery-saving mode succeeds in extending the phone’s battery life. However, given light use, battery lasts around two days. Compared to other phones in its class, the battery life is decidedly average. Unfortunately, its idle battery performance compares poorly to many feature phones, such as the Nexus 5. When idling, the ZP998 drains about 20 percent over an eight hour period, which isn’t particularly good, although since I have poor cellular reception in my area, this isn’t all that bad either. In AnTuTu, the ZP998 scored around 28,000, making it — on paper — among the fastest smartphones you can buy today. However, we must note that the MTK6592 chipset offers an octacore processor – octacore processors may work fantastic for multitasking but they require that apps support multiple “threads”. Most apps, unfortunately, do not take full advantage of the eight cores and so you typically get poorer performance than a CPU with a higher frequency and fewer cores. Also take into consideration that AnTuTu scores suffer from rampant cheating – device manufacturers configure their phones to overclock whenever benchmarking is detected. The 28,000 score could very likely be faked. Living with the ZP988 proved to be a disappointment. While the device feels great and offers fantastic specifications, it comes up short in reliability, GPS performance and battery life. Despite its gigantic size, the slimness and texture of the ZP998 make it easy to carry around. It fits comfortably in either your front or back pocket – even hipster jeans can accommodate the ZOPO ZP998. The leather-textured back of the phone make it relatively easy to grip. Shooting pictures doesn’t take a lot of effort, either, as there’s a dedicated camera button. An interesting design feature is a slightly raised nub, near the rear-facing speaker. The nub holds the phone slightly off any flat surface, allowing music to continue playing. Overall, the ZP998 offers excellent, thoughtful styling and a high quality build. The Achillies Heel of the ZP998 — battery life — guarantees problems. While most Android smartphones still fail to last a full workday of use, ZOPO’s phone barely cracks a half-day. I found myself unable to use the device for extended periods as a GPS device. While some reviewers complained of overheating, my device never really felt more than warm to the touch. Using the ZOPO ZP998 for directions, I frequently experienced issues finding my location. While software fixes (requiring root access) do exist, such as FasterGPS [No Longer Available] or FasterFix [No Longer Available], you won’t want to use them. In all honesty, while these apps might provide better GPS performance, you are almost always better off with a device that already has good GPS performance. In short, if you need navigation consider a better phone, such as the Nexus 5 (read our review of the Nexus 5 Google Nexus 5 Review and Giveaway Google Nexus 5 Review and Giveaway Approximately a year after Google released the Nexus 4, the company behind Android has come out with its successor -- the Nexus 5. Read More ). As mentioned prior, the ZP998’s battery life falls short of average. I found myself unable to use the device for much longer than half a day. This problem exists even when battery-saving mode is enabled. If battery life is your primary concern, look elsewhere for devices. Like most devices on Jelly Bean (Android 4.2), the ZP998 suffers from a lack of TRIM support. TRIM optimizes solid state storage (why TRIM matters Why TRIM is Important to Solid State Hard Drives? [Technology Explained] Why TRIM is Important to Solid State Hard Drives? [Technology Explained] Read More ), which prevents devices from experiencing lag and other performance issues. While some apps, such as LagFix [No Longer Available], can restore performance to sluggish devices, it’s not compatible with all storage. In fact, LagFix has been known to brick (destroy) some unsupported flash storage devices. About once a week, I’ve experienced the so-called “sleep-of-death”, common to many Android devices (particularly Samsung tablets). This occurs when devices enter one of the deeper levels of sleep and then fail to wake up. This requires removing and reinserting the battery. While users can recover from this issue rapidly, the problem may indicate larger firmware issues. The ZP998’s camera, which is a 14 megapixel sensor, at the hardware level offers potent specifications, but with problems. Shooting using the baked-in app doesn’t produce quality images. It suffers from washed out colors, poor edge detection. The HDR mode, which stitches multiple images together, doesn’t fare much better. Shooting in full daylight, the image quality falls short of the Nexus 5’s camera. Given the recent release of the Google Camera, which only works on Android 4.4 (KitKat) phones, the ZP998 camera seems poor in comparison. However, for any Android build older than 4.4, the ZP998 camera app offers a lot of features you can’t find bundled together anywhere else. Its rich features include: panorama, motion tracking, smile detection, ASD, HDR and MAV mode. Panorama: This feature allows the user to swing the camera from left to right, capturing a wider field of view. The picture quality is reasonably good for panorama mode. Motion tracking: This mode is useful for tracking moving objects. It automatically detects motion and can capture it without excess blur. Smile detection: This mode shoots when a smile is detected. It seems to work. ASD: This permits automatic scene detection, including night time or low-light conditions. HDR: HDR mode rapidly shoots multiple images, stitching them together to create a better image. MAV: Multi Angle View allows users to take panoramic shots of objects. I couldn’t distinguish between MAV mode and Panorama mode, though. Burst mode: Holding down the camera button with the camera app open initiates burst mode. You can shoot up to 40 pictures in rapid-fire succession. While you can download apps with similar functionality from the app store, the ZP998 camera offers all of these features in a single app. Overall, the app doesn’t compare with Google Camera, but it does provide a better shooting experience than the majority of smartphone cameras, and apps, on the market. You get a wide selection of features, a dedicated camera button and great functionality. The ZOPO ZP998’s gesture support (a virtual clone of Samsung’s Air Gestures) allows control over a small number of apps. After enabling the feature, users can interact with apps by swiping left or right of the proximity sensor. Unfortunately, I can’t see much use for the motion sensor in its current implementation. Although it adds a distinct feel to the ZP998, it falls short of practicality. I found myself rarely needing the feature – and it accidentally triggers constantly. However, in the event you cannot directly touch your screen, such as in cold weather, the gesture support comes in handy. For most users, unfortunately, touchless gesture support doesn’t offer any practical value. The most useful feature of the ZP998 is its ability to automatically turn on, or power off, using a scheduler. This offers fantastic battery saving as the device oftentimes drains 20% overnight. This feature does not, to my knowledge, exist within the Android ecosystem and is something sorely missing from vanilla Android. The ZP998 can easily be rooted and a single custom ROM exists for it. The process, while potentially bricking your phone, doesn’t take a lot of effort. Simply download and run the rooting app and afterward flash the ZP998 custom ROM using your recovery. Before proceeding, read up on on what a custom ROM is How to Install a Custom ROM on Your Android Device How to Install a Custom ROM on Your Android Device Ready to revitalize your Android phone or tablet? Installing a custom ROM is the best way to do that -- powering it up with even better performance and features. Read More , and tips on avoiding creating a brick 6 Key Tips To Avoid Bricking Your Rooted Android Device 6 Key Tips To Avoid Bricking Your Rooted Android Device When you own a rooted Android phone running a custom ROM, you need to take some precautions or risk "bricking" (destroying) your device. Read More . Unfortunately, you can’t also install the Xposed Framework (what’s Xposed Framework? Customize Your Phone Without Flashing a ROM With The Xposed Framework Customize Your Phone Without Flashing a ROM With The Xposed Framework It is common knowledge that the best way to customize your Android device is to flash it with a new ROM. It is also wrong. Read More ), which allows stock Android to function similar to a custom ROM. There’s some hope that it will work, but right now I’d wait until a stable fix comes out before installing it. Should You Buy the ZOPO ZP998? The ZP998 remains slightly too expensive given its minor problems. Compared to the $350 Nexus 5, a $50 difference doesn’t warrant a purchase. The Nexus 5 offers uniformly better performance, more features and rock solid stability – shrewd importers, however, may manage to find a ZP998 for less than $200. In China, similar phones sell for around $150. In such a case, the ZP998 offers a strong combination of performance, screen quality and unique software features that might warrant a purchase over other devices. Additionally, it also includes a rootable firmware, custom ROMs and excellent design. The octacore processor, however, feels more like a gimmick rather than a real competitor to Qualcomm or NVIDIA chipsets. While it scores high on benchmarks, its real-world performance fails to impress — particularly with respect to apps that don’t make use of all eight cores. MakeUseOf recommends: Don’t buy it. Unless you can find the ZP998, or a similar octacore device, for around $200, you get better mileage from a Nexus 5, Moto G and even the Moto X. How do I win the ZOPO ZP998? This giveaway begins now and ends Friday, June 27. The winner will be selected at random and informed via email. View the list of winners here. Congratulations, Colleen Boudreau! You would have received an email from jackson@makeuseof.com. Please respond before August 8 to claim your prize. Enquires beyond this date will not be entertained. ZOPO ZP998 Octacore is complete Rubbish!!! By January 2016, the phone started turning off within seconds of been turned on. Zopo customer service is rubbish. Sorry for your troubles. Do you have any kind of credit card purchasing protection? Many credit cards come with some kind of protection against this sort of thing. Things have changed a lot since this review published. There's great phones for even $100 now. And there's even a $4 smartphone out there. I would say to avoid these kinds of phones, particularly if there's no warranty. Thanks for the sympathy, I paid with my debit card. Purchased 2xZP980 & 1xZP999 ZOPO phones as Christmas presents from ZOPO EU Warehouse, the ZP999 was completely useless,freezing every few minutes/hours, one ZP980 restarts at least once daily, one working OK. Still in correspondence with ZOPO via PayPal, they are insisting that the phones are returned to China for repair at my expense & risk, regardless of the fact that they were purchased in Europe, shipped from EU warehouse and were faulty on arrival. That's horrific. I thought it was EU law that the seller provide free return shipping? In the US I've had similar issues with China-imported phones. They require that the seller return devices to China on their own dime, which is cost-prohibitive. From the cheap quad-core smartphones I recommend Smartphone Lenovo A916 smartphone1.eu/products/smartphones/octa-core-smartphones/smartphone-lenovo-a916-android-4-4-octa-core-4g/1520.html for 187 $, 5.5" IPS screen 1280 x 720, 1GB RAM, 8GB ROM or Elephone G6 smartphone1.eu/products/smartphones/octa-core-smartphones/smartphone-elephone-g6-5-0-octa-core-android-4-4/1564.html for 153 $ with 5.0" IPS screen 720 x 1280, 1GB RAM, 8GB ROM or THL T6 smartphone1.eu/products/smartphones/octa-core-smartphones/smartphone-thl-t6-pro-android-4-4-octa-core-5-ips/1518.html for 116 $ also with 5" IPS screen 1280 x 720 (HD), 1GB RAM, 8GB ROM. They are the same quality Chinese brands like Zopo Mobile, but are little cheaper. I am the owner of a Zopo zp1000. I bought the phone via geekbuying.com, and received it at 17th of July 2014. From the very beginning I've experienced a problem with the GPS; simply not functioning accurately, or looses the signal once in a few seconds. It made me unable to use navigation applications at all. About 2 months ago another major issue appeared; I came to use the phone when it was left working and should have been on a lock mode, but the phone was simply off. after two or three attempts it turned on, showing the zopo welcoming screen. It definitely affected my ability to be available to people who call me, but I just became more alert and checked once in a few minutes if it's on. Must say that it has nothing to do with the charging, because it happened when the battery was fully charged too. Another issue, started a month ago is that the phone went from 95% of battery [for example] to 8% and then rapidly to 4% [even when not using it or having active apps!] and then turned off. after charging for a couple of minutes it turned on again, somtimes acting as the battery is empty and sometimes showed 90% as it was before. It happened to me a lot during the day, when I cannot afford to look for a place to charge my phone. 3 weeks ago, the phone have lost its connectivity to the mobile network and the stripes who show the strength of the connection had an X beside them. It happened a couple of times per day, in a manner that I couldn't rely on the phone for anything but using it as a music player and camera. Ever since, I struggle to find alternative phones since I have no time to manage negotiation via Emails that might help, only might. 2 weeks ago it started telling me that there is no SIM card inside even though it was inside all along. Another thing is that while using other phones there was no problem with the connectivity, and the SIM card never disappeared. Today I thought that I'm loosing my mind completely when I found the phone turned off, knowing it's fully charged, and wasn't able to turn it on again for hours. I moved the phone and charger from one spot to another, to see if it responds while connected, but none. I am a working woman, not overusing in anyway, and no harm was caused to the phone by falling or overheating, nothing. Out of the phones that I've owned, most recent is Iphone 4, this is the most dissapointing and unreliable one. All of them survived more then 3-4 years of use. My Zopo zp1000 stopped working properly two months after purchase, and completely failed when 4 months old. I really hope that there is a specific problem with my phone and that these are not your standards. Bought from geekBUYING.COM and got it new in box as no one used it before. Thank You for another Great Giveaway.I Would Love To Try The MOPO SmartPhone. I Live in a Dead Zone and cant get very many phones to work.I Really Want To Try This One.. I have a Samsung Galaxy Discover and it tool my provider 2 years to get me to even try it for $0! I still don't know how to do half the stuff on this one but as it's been a good phone I would either stick with Samsung or go back to an LG phone... hey as long as it's free as I've been with Solo for over 10 years they give me a new phone every 2 years, but have only upgraded twice! I hate re-learning how to do everything! Still haven't got my SIM card into this new one from the old one! I'm too blonde for all these changes! Nexus - definitely ! though one plus is making quite a case. Don't have one, so any of the above would do as an experiment to see if I like it. Nexus? Samsung Galaxy S2 is my sub 400 phone. Moto X, but I'd try this out. No offense to the Chinese manufacturers, have been putting built in trojan software into the Star N9500 smartphone. What is to stop them from doing this with this phone? That's certainly true - I've read that the depth of this problem extends much further than just a few manufacturers, as well. Aside from the problems with the NSA, I've heard about account hijackings occurring with phones imported from China from no-name vendors. It's definitely a risk. I use a throw away account to initially register the phone - if nothing goes wrong over the first few months, I feel a little more comfortable using it, provided I have two-factor authentication enabled. It also helps to reflash the phone's firmware. It could be that somewhere along the phone's chain of custody, criminals get ahold of the device and flash compromised firmware. I have no real evidence to support this theory, though. I myself have been using various apps on my android(lookout, Orweb, redphone, textsecure) and I am also thinking about using the android encryption feature(but with that I am worried about slowing down my phone). I am really concerned with the idea of -any- of my personal information getting into the wrong hands. The Nexus 5 really is my top choice. Currently I'm using Samsung Galaxy W (USD 250) , and will be very happy with a Lenovo unit. would like the latest Galaxy. so many mobile brand, which to choose yea? I am a Galaxy girl! Motorola Moto G. Inexpensive good smartphone and supports Android v4.4 (KitKat) OS. Nexus 5 or Samsung Galaxy 4! I went with Nexus 5. I would have to go with Galaxy. None of them really interest me, maybe the Nexus 5. Maybe. Eh, nothing really stands out. The Nexus 5 and Moto X both seemed pretty nice when I played with them in store. I would choose Nexus 5 or Xiaomi. I'd choose the One Plus One. It will be the OnePlus One. Anything in the Galaxy line. I've been using my SII for 3 years now with no problems. I haven't gone into it extensively but I know it's not my current samsung galaxy ace - NO space for the basic apps I need. The Nexus 5 is my choice. Nexus 5 would be my choice. ZOPO ZP998, beggars can't be choosers. I do not have a favorite, do not own a smart phone,have a basic Samsung model (cheap!!). I don't have a favourite and have just started looking into upgrading. It's like learning another language. I currently use a LG Rumour 265. This would be a great thing to have! Even with all it's faults, it would be a blast to have a smartphone! Since I have yet to acquire an android phone, my best bet is the ZOPO ZP998. Seeing the great review made by you guys make me want to acquire one at the soonest possible time. I'd go for the +1. Sub-$400 Android phone of choice: Moto G.
I would love any android since I do not even have a smartphone right now! I havent had much of an opportunity to try many, as I live in a rural area. So I look for ones with compatible rural rated ariels. Probably something from the Samsung Galaxy family, though I currently use a Blackberry. Moto G seems to have it this week. I will go with Asus Padfone infinity/2 because it have all what i need tab and smartphone at the same time with good price. Many people over here choose Moto G... well I've googled some info and must say it's a very good choice for it's money. Tend to agree with them. I think the Moto G would be my choice. Moto X is the device of my choice under $400. There are many options available but for now I think I would go for Next 5. I've had the HTC One and all of the Galaxy Series. My current phone is the S5. Under $400 though? I'd go for the the Nexus 5. I dunno. Maybe the HTC One? I think the Motorola Moto G would be a good choice. Nexus would be my choice. Of course is the Nexus 5. Local brand if applicable. Though, you will suffer for active development of the rom. For a smartphone under 400 bucks this one looks pretty good. My current phone is the Xiaomi MI2, which is still a great phone, but is a generation or two behind the cutting edge. I really like the Xiaomi and would probably get whatever their newest smartphone is if I were to buy another phone at full price. MIUI has a great interface. Nexus 5, guaranteed quality with updates. My sub-$400 android phone would be the Samsung Galaxy phones. The Nexus 5 sounds like the best choice. Nexus 5 since I'm not sure of the pricing of other phones at the moment. The OnePlus One would be my choice. Nexus 5 (and unlocked) Android. If you watched the video you'd see that it's not. Nexus 5 would be my choice for a sub $400 phone. Any phone that works on VZW! I think this is sub 400 by now but, I love my Lumia 920. I'm not as familiar with Android as some but I'd choose the Nexus 5. Thanks for sponsoring this! The Nexus 5 is a good low cost (and unlocked) Android. If I would have $400 I would look for the specs that would suites my daily needs and of course that will entertain me everyday :) I hope to get a chance to win though. I'm confused is this international giveaway? A high-end device at a great price..a Nexus 5..
Not sure yet, I wil need to see more review before making a choice. I'm pretty interested in the HTC One. Maybe this one. I haven't looked in this catagory yet.